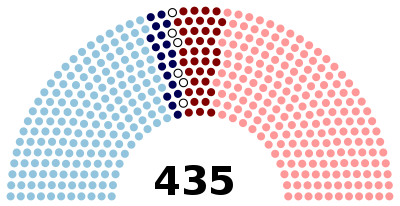 Every week there are more opportunities to put your mark on the mid-term elections. Our MI Calendar is filling up with our events, as well as worthy events sponsored by our allies all over the Greater Boston area. YOU ARE NEEDED. Join us! Are You Outraged by Kavanaugh? 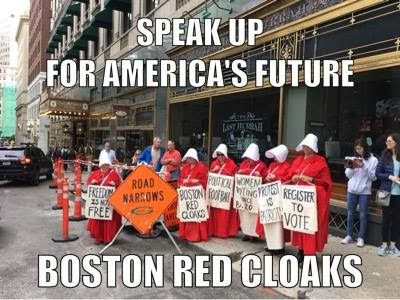 The Boston Red Cloaks is a local group of women that stages actions in public places to draw attention to voter registration, civic engagement, and women's equality. They promote positive messages about women and women's rights. They create memes and put them out into the world via their Facebook page and their Twitter account. You can help lift their social profile by following them, liking their posts, and re-tweeting/sharing their memes. It's a simple way to make some waves, and it gives you an excuse to spend a few more minutes on social media! If you'd like to join them, send them a message on their Facebook page. MI Elections Team says, "It's AMY McGRATH WEEK!" We'll be highlighting each of our campaigns in this way in the weeks leading up to November; we hope you can boost your support with us! 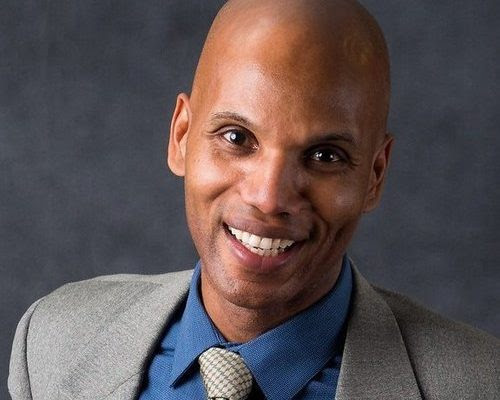 Sister District Project MA and RI invites you to meet a rising star in the Democratic Party: Anton Andrew, candidate for the Pennsylvania State House. 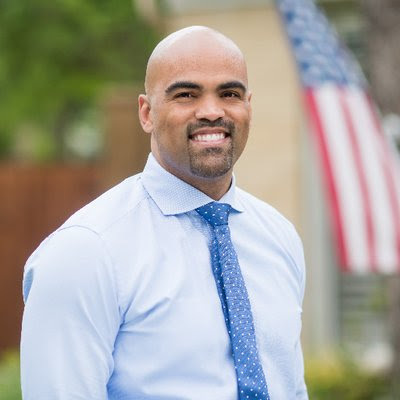 Anton is running to unseat a well-funded, ten-term Republican. He has over two decades of experience fighting for poor and working families. Your donation is important and incredibly helpful! Three receptions are scheduled for September 25: 2:00 pm in Lexington, 5:30 pm in Cambridge, and 7:00 pm in Belmont. 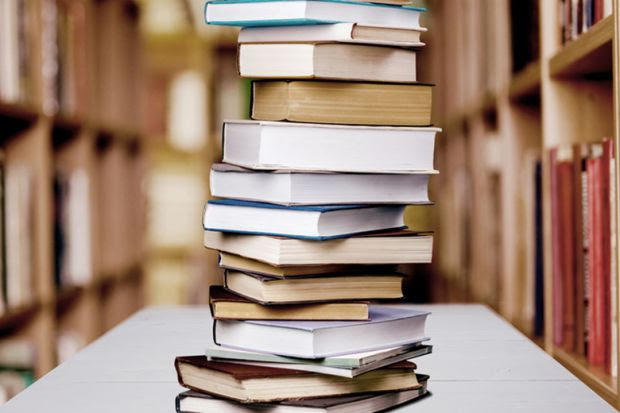 Check out what the MI Book Club has already read - an impressive list! 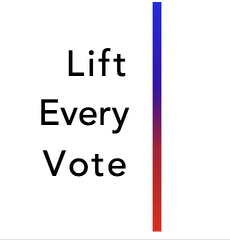 Our friends at Lift Every Vote are seeking our help in a postcarding campaign. The Florida Rights Restoration Coalition gathered over one million signatures to get voting restoration on the ballot this year. The Supervisors of Election rejected the signatures of 32,000 voters who signed the petition, some for signature mis-match, others for other technicalities. We’re writing these folks, reminding them about the petition, telling them it’s on the ballot, and asking them to vote early so that if their ballot needs verification, they’ll have time to do it. This is CRITICAL as the Miami Herald reported that voters who vote by mail have a 10x more likely chance of having their ballots rejected. 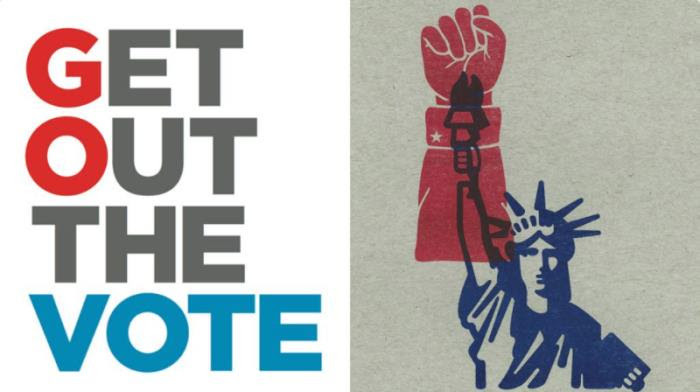 Join Kim and Marci at Ride Studio Cafe in Lexington to write these postcards; RSVP to democracy@minutemanindivisible.org and check our MI Calendar for any updates before Wednesday morning. The Elections Team is hosting weekly actions on Thursday evenings to work for our candidates. 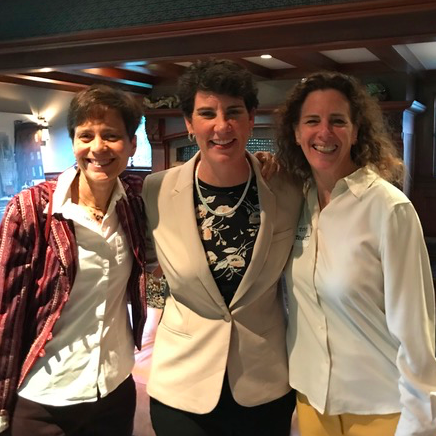 This week, "Amy McGrath Week," we'll be phonebanking for Amy. Bring your laptop, phone, and charging cords. Folks will be on hand to help you set up an OpenVPB account and get you started. Then, after making calls, you'll have a chance to get a tutorial on texting from our MI friends who are part of the MoveOn Text Team. 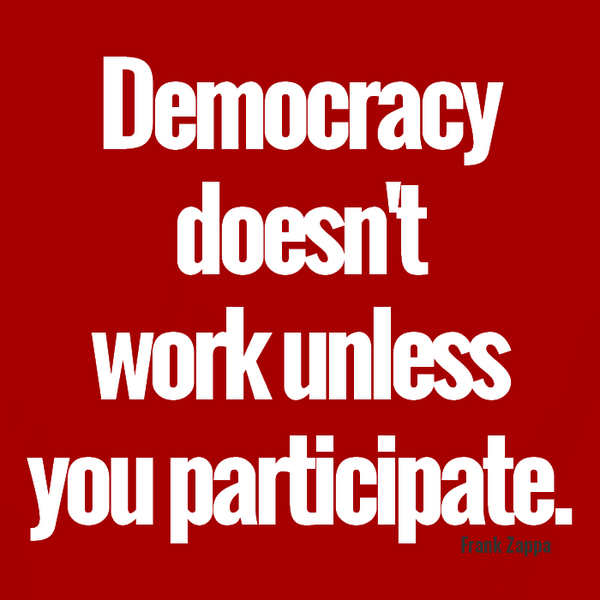 Bring your enthusiasm for learning new ways of campaigning! 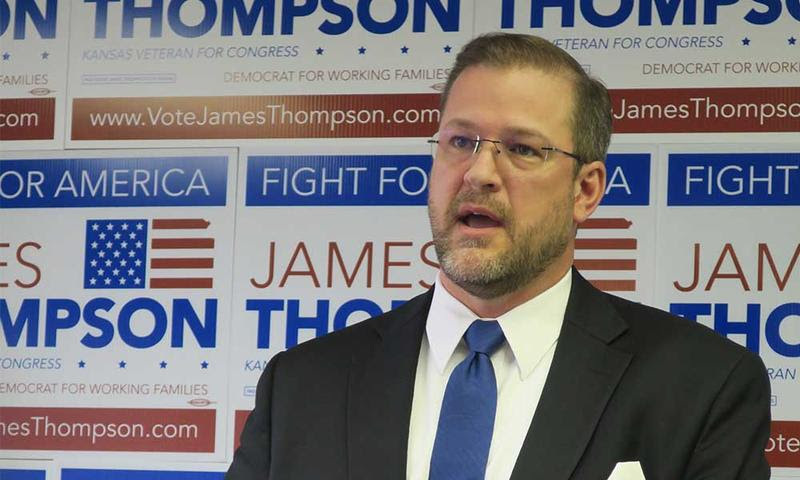 James Thompson is running a proud, progressive campaign in the heart of Kansas, and he's making waves! Join other MI folks in Wayland for an afternoon of postcarding for Thompson. RSVP to Jean to get the address. 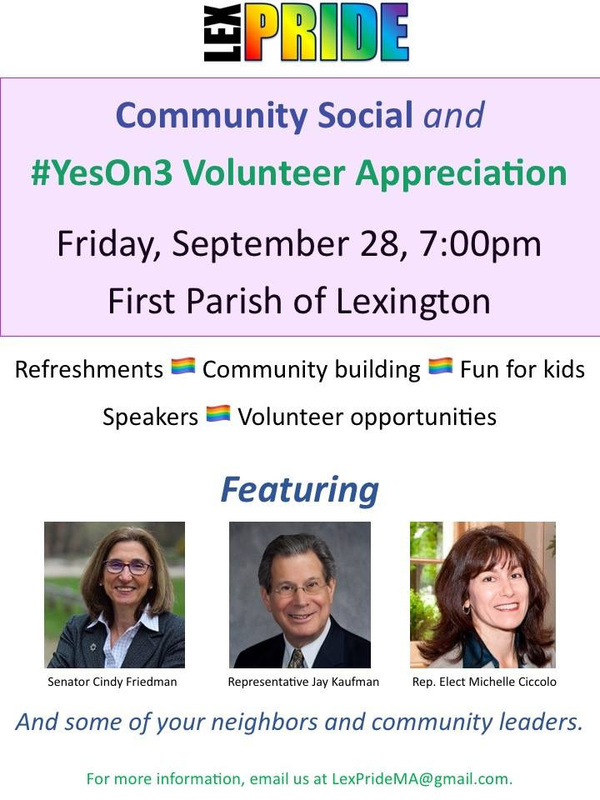 Join our friends at LexPride for an evening of campaign updates, volunteer recognition, and signups for more volunteering. Speakers will include Cindy Friedman, Jay Kaufman, and Michelle Ciccolo. It'll be a family-friendly event, with activities for children, too! Swing Left is hosting a livestream interactive training on how we'll power the Blue wave and win back the House! Join a local hosting of the training in Lexington - learn more and RSVP here.